For the past few weeks I introduced you to my new embroidered pillow collection on the http://www.etsy.com/shop/letsdecorateonline?ref=si_shop store. I’ve been fortunate that so many of you have liked the Greek collection and the Baby collection of pillows. Today, I bring you last of my 3 collections for the sophisticated areas of your interiors! There are many color combinations. Olefin fabric has low moisture absorption, but it can wick moisture and drys quickly. Olefin is abrasion, stain, sunlight, fire, and chemical resistant. 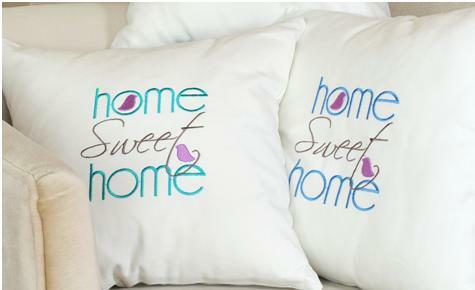 It makes these pillows ideal for your home. The Greek wreath pillows come in 20 inch square (50 cm) or 18 inch square (45cm) dimensions but can be made in any dimension customized for you. The Greek key pillows are a long standing symbol in history, design, jewelry and in interior design. These pillows will look good in Classic, Traditional, Contemporary, Casual, Modern, and most interior styles. They are available in a variety of color style choices (picture on the right): Off white Olefina with medium brown embroidery and trim. Brown Olefina with off white trim is the other option. The Greek pillows come in 20 inch square (45cm) dimensions but can be made in any dimension customized for you. Olefin is abrasion, stain, sunlight, fire, and chemical resistant. It makes these pillows ideal for your home. The pillows in the left picture are made from 100% Pes material and are also 100% recyclable. Sizes include 20"sq ( 50cm sq) or 18" sq (45cm sq) or custom sizes. Colors: Off White Pes and Brown Pes with matching trim as the Olefina pillows. Made from 100% pes the dimensions available are 20" X 18" sq (50cmx 35cm) or you can order a different dimension of your choice. Now that you have seen my three collections of pillows I hope you will bring them into your home! 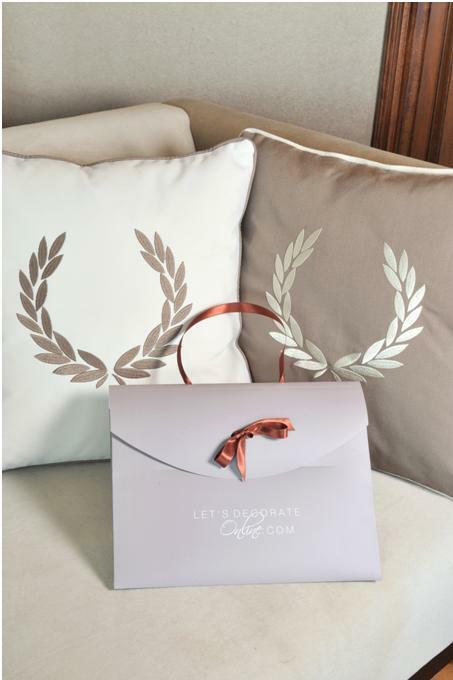 From my Greek symbol pillows and fur lined varieties to the sophisticated café and home sweet home pillows, I know your family home will enjoy them!